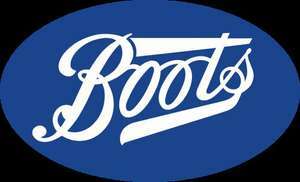 Nationwide are running a 10% cashback offer on the first purchase at Boots for its cardholders who have registered their cards on the Nationwide Offers website. Minimum spend is £30, max cashback in £10. So if you're on the lookout for some cheap discounted giftsets in the boots clearance sale, might as well pay with your nationwide card (if you've got one) to get some extra discount! Available in store and online until 21st Jan 2017. Do boots sell gift cards for other retailers, Amazon and similar? Not on my account, and gift cards I do not think count for this offer, as they also do not get points in Boots either. Could stack with this Quidco bonus for potentially £13 off a £30 spend. Not on my account, and gift cards I do not think count for this offer, as … Not on my account, and gift cards I do not think count for this offer, as they also do not get points in Boots either. Gift cards bought in store definitely do count. A simple explanation is there is no was for Nationwide to find out whether the money was spent on goods or gift card - all they see is a charge from Boots. Gift cards bought in store definitely do count. A simple explanation is … Gift cards bought in store definitely do count. A simple explanation is there is no was for Nationwide to find out whether the money was spent on goods or gift card - all they see is a charge from Boots. That's good to know, but I still did not get the offer on my Nationwide account, but will make a note next time. That's good to know, but I still did not get the offer on my Nationwide … That's good to know, but I still did not get the offer on my Nationwide account, but will make a note next time. Have you tried looking at Simply Rewards? It took a month of emails for this Boots offer to pay out for me last time. I have now been waiting a month for a Debenhams offer to payout. Simply Rewards has managed to get it right less than 50% of the time for me. Nowhere near as reliable as Halifax cashback offers. It took a month of emails for this Boots offer to pay out for me last … It took a month of emails for this Boots offer to pay out for me last time. I have now been waiting a month for a Debenhams offer to payout. Simply Rewards has managed to get it right less than 50% of the time for me. Nowhere near as reliable as Halifax cashback offers. Same here! Still waiting from a Boots transaction on 2nd December despite 3 emails to them. Simply Rewards, anything BUT simple! ​They stink as a rewards / loyalty scheme. In December they failed to track the purchase on my credit card, and it has been escalated as "urgent" since 26th December. Transaction on my debit card tracked fine, and quickly, with an email confirmation 18th Dec the cash back was being processed. As of today, still not credited to my account. A first query, copying their email back to them, with all transaction details confirmed by them was eventually responded to this morning with an email suggesting I might like to send them the details of the transaction so they can see if it is eligible for cash back - why their own previous email WITH all that isn't sufficient info, I don't know ! Yes they have requested info from me with the requested info quoted at the bottom of their email! I've used this three times since October, twice on-line which they honoured and once in store which I have had to chase as it did not track, that was the 27th November so I wonder if they were having problems about that time. I've just had a look and it is not on my account, luckily I don't need anything so it has stopped me making an impulse purchase ;). Agree. They didn't pay out for an adidas order I made last year. Took many, many emails for them to eventually pay out. The guy dealing with it even tried to say at one point it was not a genuine purchase....what does that mean despite sending on the adidas invoice? For them to finally pay out I had to photoshop two screenshots of my order and then they grudingly paid out. Pretty ridiculous, all for the sake of £15 - they probably wasted more than that putting the time in to investigate it! You're not alone in having to chase up cashback. I am currently having to deal with customer services in the USA trying to PROVE that I have spent the money at the retailer according to the terms and conditions blah blah blah! They have sent emails back and forth trying to verify this that and the other but they will eventually see that I have indeed qualified and they will have to pay up. Daft as the latest one is only for £x amount but I am not giving up!